If you want to be part of a FUN club and assist us in achieving our Vision, Mission and Values please ﻿contact us﻿. Leading the development of tennis in our community. To foster the growth of tennis in Mangere Bridge and our surrounding communities. Inclusive, Growth, Pride, Participation and Respect. Bridge Park Tennis Club has a rich and long history of success. 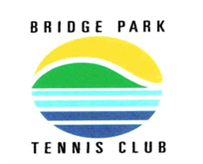 Established as Manukau Rovers Tennis Club in April 1934, the club moved from Onehunga to Mangere Bridge in the early 1970's and rebranded to Bridge Park Tennis Club in 1993. The original club house sits nestled at the bottom of Mangere Mountain and is complemented by 5 AstroTurf tennis courts. After a number years of minimal activity, the club has recently been revitalised and is growing rapidly. We look forward to fostering a love of tennis in our future generations and providing a quality space for our community to connect and recreate.